Maintaining a lush lawn is a healthy and rewarding hobby that affords homeowners to spend some time outdoors in nature. Lawn enthusiasts can make their hobby even healthier by adopting several eco-friendly lawn care strategies that not only make for a healthier lawn, but a healthier planet as well. Responsible landscaping has grown increasingly popular in recent years, as more and more homeowners are adopting eco-friendly lawn care practices in the same way they have embraced environmentally conscious behaviors in other areas of their lives. The following are a handful of ways lawn care enthusiasts can incorporate eco-friendly practices into their landscaping routines. 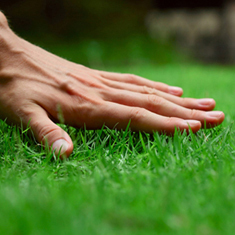 · Maintain an appropriate grass height. When temperatures start to peak in summer, homeowners may be tempted to cut their grass as close as possible so they can reduce the number of afternoons they spend riding or pushing a mower in the hot sun. But cutting too low makes the grass increasingly susceptible to infestations and disease, and such problems may need to be remedied with potentially harmful pesticides if no other approach proves effective. Even if it means an extra afternoon or two mowing under the hot sun, maintaining an appropriate grass height can lead to a healthier lawn, as longer grass soaks up more sunlight, allowing it to grow a deep root system that will help a lawn survive drought and other potential problems. · Cut back on harmful pesticides. 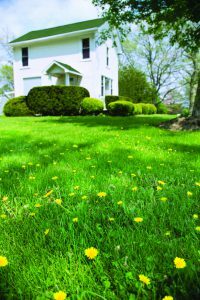 Many homeowners now prefer to avoid pesticides at all costs, but sometimes pesticides are a last resort when lawns are falling victim to harmful insects and organisms. 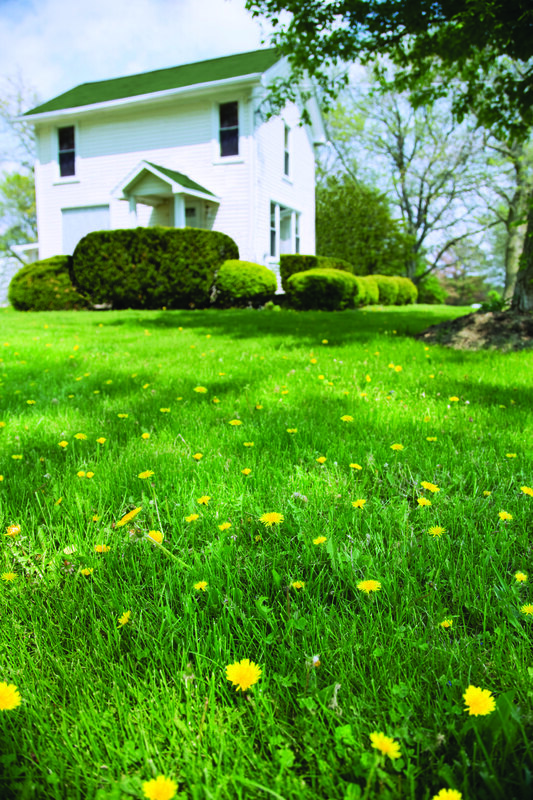 Homeowners who want to embrace more eco-friendly lawn care practices can cut back on their use of pesticides, first trying more environmentally friendly options. For example, biopesticides are made from naturally occurring materials, including animals, plants, bacteria, and certain minerals. According to the United States Environmental Protection Agency, biopesticides are often inherently less toxic than more conventional pesticides. In addition, biopesticides typically affect only the pest causing the problem, whereas broad spectrum pesticides may affect surrounding organisms, such as birds and mammals, in addition to the targeted pest. The EPA (www.epa.gov) advises homeowners hoping to use biopesticides first learn about managing pests so they can effectively remedy problemson their properties. · Harvest rainwater. Lawns need water, especially when temperatures rise in the summer. But watering lawns can have an adverse effect on your community’s water supply, draining that supply and hurting the community in the long run. Homeowners who can harvest rainwater can drastically reduce their impact on their community water supply, thereby helping the planet and their community, especially if they reside in locales where water resources are traditionally scarce. When rainwater is harvested, it is collected from downspouts before it washes into nearby sewage systems. Many lawn and garden retailers sell rainwater harvesting systems, which homeowners can install themselves or pay a landscaping professional to install for them. · Lay mulch down around trees, shrubs and flower beds. Trees, shrubs and flower beds need water, especially in the summer when rising temperatures pose a threat to plants. Homeowners can cut back on the water they use to protect those plants by laying organic mulch in the spring. Organic mulch conserves moisture in soil, promoting stronger roots in plants and helping homeowners cut back on the amount of watering they need to maintain a garden that’s both healthy and pleasing to the eye. Organic mulch, which might be made of bark, is also heavy, making it hard for ugly weeds that rob plants of water to thrive.